Car and Driving's Family of the Mercedes-Benz E-Class Coupe. 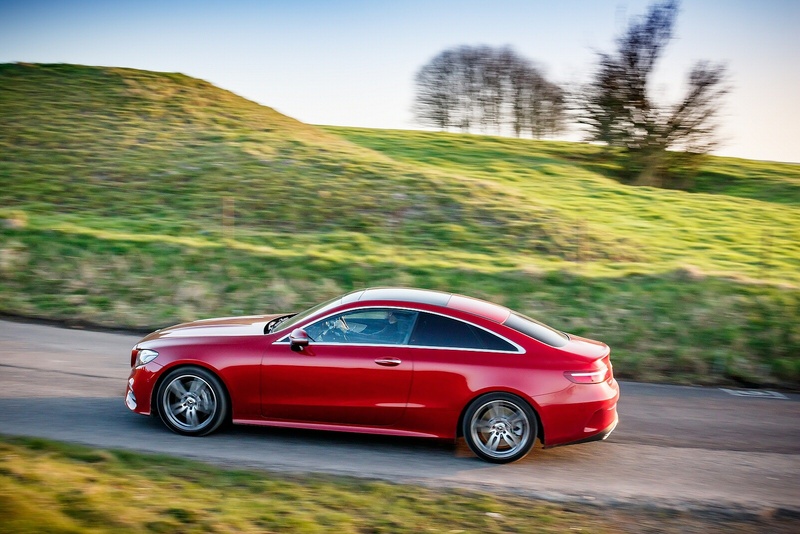 Mercedes does sporty in a typically understated way with its E-Class Coupe. June Neary reports. I like a bit of sportiness in a car as much as the next person but too much can become tiresome. What with the roaring engine, the snappy responses and the jiggly suspension, it’s enough to bring on a migraine. There’s obviously plus side to sporty cars as well and following a short lie down in a darkened room, you can appreciate the low-slung shape and the nimble handling. The trick is to find the car with just the right about of sportiness for your personal tastes and I may have just located mine. 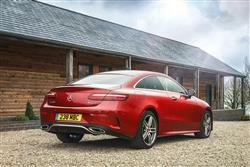 It’s the Mercedes-Benz E-Class Coupe. 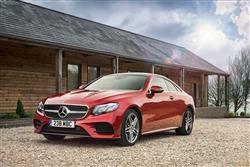 We all know that the E-Class is a large Mercedes-Benz executive saloon and if we didn’t, we do now. 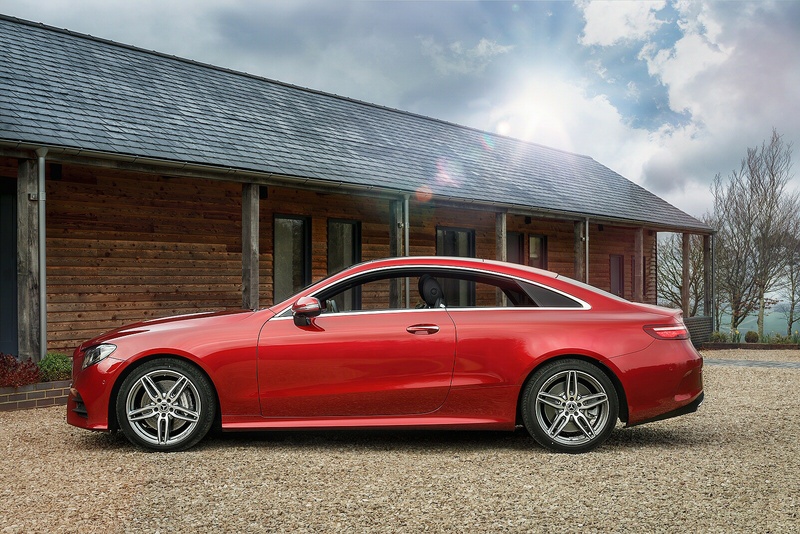 The Coupe version is a two-door model, as coupes tend to be, but it’s also a good deal more compact and aesthetically pleasing than the four-door, or the estate for that matter. This isn’t a small car mind. It’s noticeably bigger than you might expect a coupe to be and there are four usable seats inside but the low suspension and the curving roofline contribute to a sporty ground-hugging look. 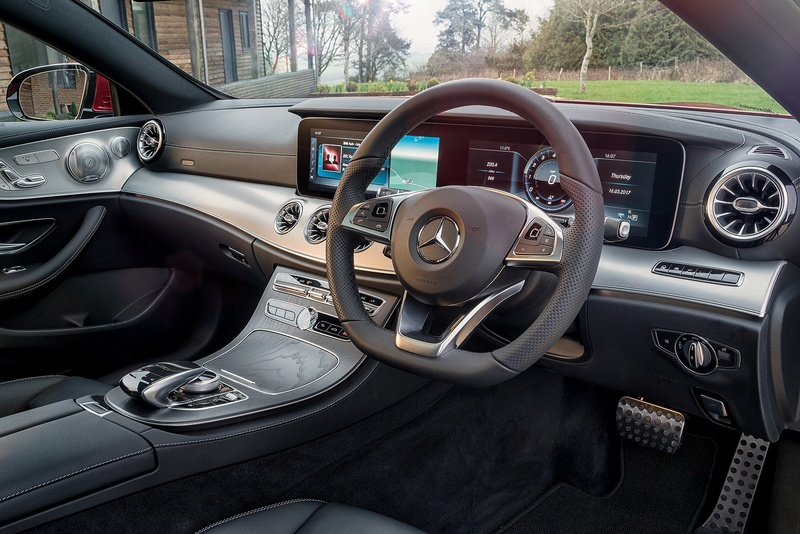 The interior design is largely carried over from the saloon and so is much of the advanced technology that defines the E-Class model line. 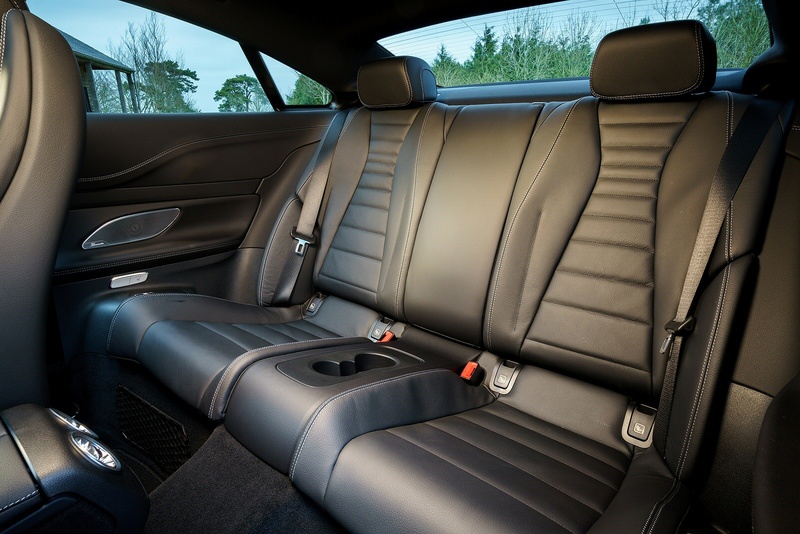 What’s different is the lower seating position which manages to make you feel part of the car without making entries and exits undignified. It’s perfectly possible for a couple of adults to sit in the back, even if they won’t be over furnished with leg or headroom, and there’s also a usefully large boot. This is my kind of sportscar. Behind the wheel, if you’re familiar with the previous generation version of this car, the main change you’ll notice - at least on a top model - lies with the two optionally available high-resolution 12.3-inch displays which are merged under a single lens to produce a floating Widescreen Cockpit effect. This emphasises the width, alongside the fascia-spanning trim, which is finished with a dynamic sweep in the door panel. Positioned in the driver’s direct field of vision, the instrument cluster shows virtual instruments, which can be selected by the driver in three different styles, “Classic”, “Sport” and “Progressive”, depending on which information and views the driver chooses. The kind of driving experience you can expect rather depends on which engine you decide to go for. 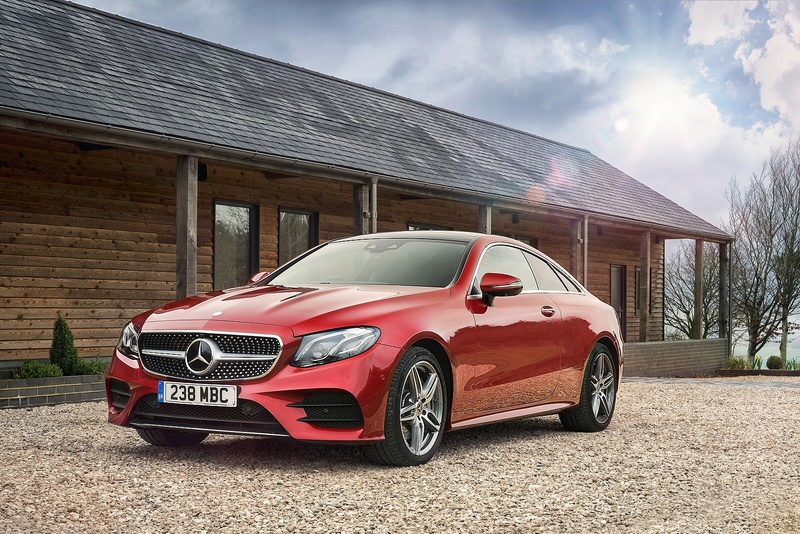 Pick one of the V8 petrol options and the E-Class Coupe will take on the air of an intercontinental missile when lower the pedal towards the carpet. The other variants are a little more sedate but specialise in low-end torque for wafting about on. 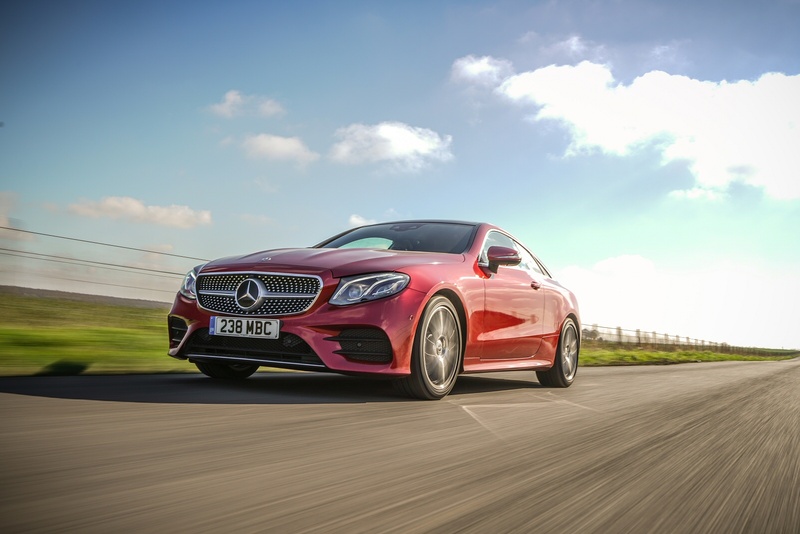 As you’d expect, this E-Class Coupe shares its engineware with the E-Class saloon, which means that it gets that model’s completely smooth 194hp 2.0-litre diesel engine in the entry-level E220d variant. 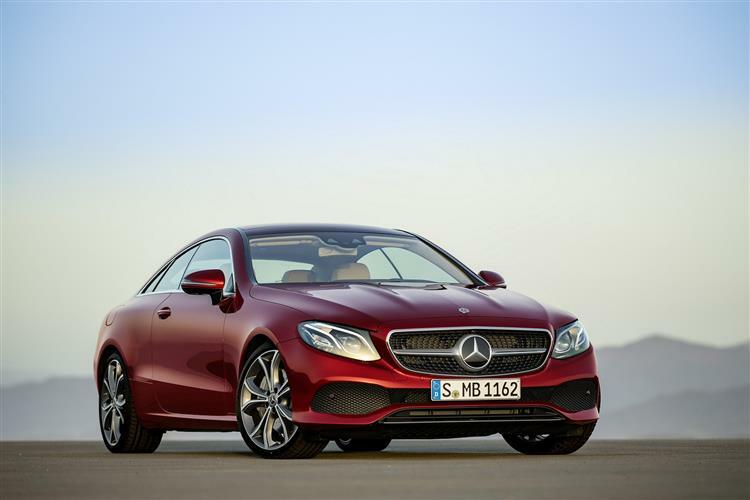 There are four other engine options - a 340hp E400d diesel and three petrol options, the 245hp four cylinder E300, the 367hp E450 4MATIC and the Mercedes-AMG E 53 4MATIC which uses a 3.0-litre biturbo 435hp six cylinder unit. All variants are equipped as standard with 9G-TRONIC nine-speed automatic transmission and the DYNAMIC SELECT system that allows you to tweak steering feel, throttle response, gearshift timings and stability control thresholds to suit the way you want to drive. If you opt to replace the standard DIRECT CONTROL suspension (lowered by 15mm over the saloon model) with optional adaptive damping or DYNAMIC BODY CONTROL air suspension, the DYNAMIC SELECT system’s modes will alter ride quality too. There are “Comfort”, “ECO”, “Sport”, “Sport +” and “Individual” settings to choose from. 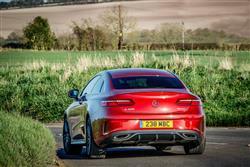 This Coupe comes only in AMG Line trim. All of that means that overall E-Class Coupe pricing starts at around £41,500. That gets you the 194hp E220d, with around £1,600 more getting you 4MATIC 4WD if you want it. The 245hp petrol-powered four cylinder E300 costs hardly any more. 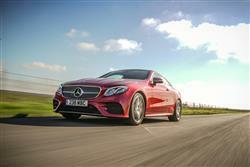 There’s also a 435hp petrol Mercedes-AMG E 53 4MATIC six cylinder biturbo variant, priced at around £65,000. 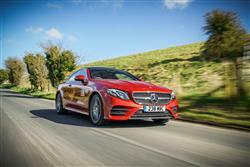 All E-Class Coupes only come with 9G-TRONIC auto transmission. If you’re put off the prospect of owning a coupe by the lack of refinement and comfort that’s often prevalent in sporty cars, the E-Class Coupe from Mercedes-Benz could be the answer. It has the sporty feel of a coupe but it’s not too overbearing and doesn’t come at the expense of the ride quality and hushed cabin you expect in a big Mercedes. 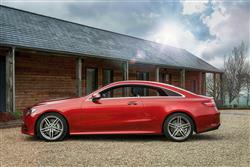 It’s an elegant looking car and very well finished inside with more space than the majority of coupe models. I certainly enjoyed my time at the wheel.